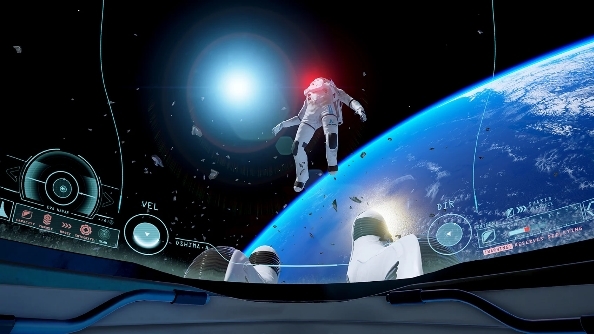 While the prospect of space travel is one many of us has at least fantasized about experiencing at one point or another, ADR1FT lets players experience firsthand what it would be like to be an astronaut when things go horribly wrong. 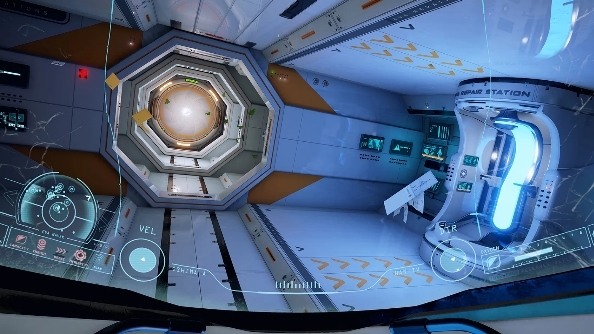 Now available on Oculus Rift, ADR1FT drops players into the spacesuit of Commander Alex Oshima who regains consciousness and finds herself floating among the debris of a large space station with no memory of who she is or what has happened. What she is acutely aware of though, is that her spacesuit has been damaged and is leaking oxygen leaving her constantly on the brink of death. Not quite the fun experience we sometimes dream of, but a harsh lesson in how cold and unforgiving space really is. Although the game is played through the eyes of the protagonist, the developer is keen to emphasize that this is not a first-person shooter. They decided to get rid of the combat element altogether and create what they are calling a first-person experience (FPX) in which the tension and threat comes not from enemies but from your situation and the environment itself. In order to take advantage of the engrossing VR experience packed into ADR1FT, you will first want to make sure your GPU is powerful enough for virtual reality. If you’re unsure if your gaming rig meets the minimum requirements for Oculus Rift, NVIDIA GeForce and Oculus’ joint program conveniently identifies if you’re ready for VR. In a lot of cases, all you’ll need to do is just upgrade to a higher-end GeForce GTX GPU. 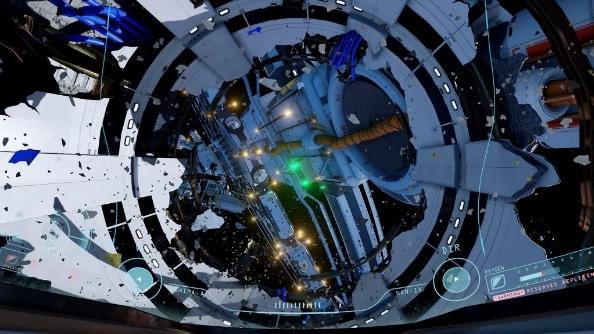 In ADR1FT, players will need to, first and foremost, survive by regularly seeking out air tanks and replenishing their supply. This is why ADR1FT is likely to bring gamers out in a sweat: the tension is enormous and constant. In addition to merely staying alive the Commander also has to explore the environment, solving puzzles and picking up clues, such as family photographs and audio logs, that taken together gradually reveal what led to the devastating accident and what part Oshima played in it. Clearly this is a narrative-driven game but it is in no way a passive experience. The sense of immersion into Commander Oshima’s world, especially when playing on Oculus Rift is total. On a visual level this is an eerily beautiful environment. The scale of the space station itself is impressive, chunks of debris and the dead bodies of your colleagues floating past your vision a constant reminder of the perilous nature of your situation. VR also bring a physical authenticity to the proceedings. In order to secure those all-important air tanks you have to physically manipulate your on-screen hands to deftly grab hold of them rather than accidentally knocking a crucial object out of reach. It’s a unique and mesmerising experience that has the potential to showcase just what a game-changer the gaming industry’s first steps into VR could be. The fact that it’s an original, non-violent, story-driven affair rather than a formulaic old shooter merely tweaked for VR also bodes well for the creative and diverse nature of VR games to come. Experience one of the most thrilling and visually mesmerizing virtual reality games in ADR1FT, which is now available on Oculus Rift.